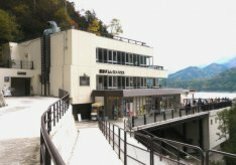 Japan’s largest arch-style dam is impressive! 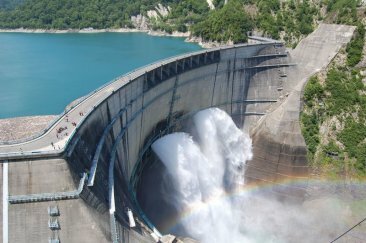 Completed in 1963 after 7 years of labour by 10 million workers, this is Japan’s largest arch-style dam. 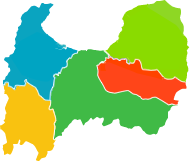 The story of its construction has been handed over the generations as the enterprise of the century. Enjoy the magnificent sight of the intense discharge from the 186m high dam and the clouds of spray it produces! 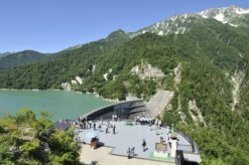 As well as its sheer presence as an architectural structure, you can also enjoy the curious history and stories of Kurobe Dam. 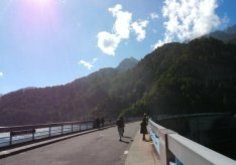 Experience the wonder of Japan’s biggest dam in a beautiful natural setting. Copyright © 2014 Toyama Tourism Organization.